It belongs to the group of medicines called antacids, which act by decreasing excess stomach acidity. It is indicated for the symptomatic relief and treatment of heartburn and heartburn in adults and children over 12 years old. if you are allergic to dihydroxyaluminum glycinate, aluminum hydroxide, magnesium trisilicate, calcium carbonate or any of the other ingredients of this medicine (listed in section 6). if you have hypermagnesemia (high levels of magnesium in the blood). if you have hypercalcemia (high calcium levels in the blood). if you have bowel obstruction (partial or complete blockage of the intestine that causes an interruption of the passage of bowel contents through it). Consult your doctor or pharmacist before you start taking Secrepat. As with other antacids, this medicine may mask the symptoms of a disease more serious stomach as a peptic ulcer or a malignant process, so if symptoms persist or worsen after 14 days of treatment, consult your doctor . the use of aluminum-containing antacids generally in patients with Alzheimer's disease because it could contribute to the development of the disease is not recommended. if you have mild or moderate renal failure (kidney disease) and need to take this medicine, you do so with caution will avoid taking high doses as there is a risk of poisoning hypermagnesemia (increased levels of magnesium in the blood) and hiperaluminemia (increase aluminum levels in blood). Also it avoids chronic treatments since they can lead to encephalopathies (aluminum poisoning) or hypermagnesemia (increased blood magnesium levels). In general, taking high doses for long periods of time this medicine can cause side effects such as hypermagnesemia (increased levels of magnesium in the blood), hypercalcemia (increased calcium levels in the blood), hiperaluminemia (increased aluminum levels in the blood) and metabolic alkalosis (metabolic disorder). If you are having a test for evaluating the secretory function of gastric acid, it should not take antacids the same morning that the test is performed, since it could alter the results. This medicine can interfere with the physiological laboratory test values. They can increase the blood levels of calcium and gastrin. When taken Secrepat can lower blood concentrations of potassium and phosphate. Antacids can increase the pH of the blood and urine. Antacids modify the absorption or elimination of many medicines, so must separate taking any other medications antacid between 2 and 3 hours. (Medicine for tuberculosis), iron salts, and ketoconazole (antifungal). Should be spaced between Secrepat and taking these medicines at least 2 hours. It is not recommended jointly take Secrepat with the following medications: sodium phosphate cellulose (medicine for the treatment of stones or kidney stones), mecamylamine or methenamine (antibiotic) and sodium polystyrene sulfonate (medicine to treat high potassium levels blood). Because it contains calcium carbonate, simultaneous treatment and prolonged this medicine with making milk or milk products, can lead to the syndrome "Milk-alkali" (hypercalcemia: high levels of calcium in blood and metabolic alkalosis: alteration metabolic). Certain amount of calcium, aluminum and magnesium can pass into breast milk, but the amounts are achieved in milk, they are not large enough to produce effects in the newborn. Secrepat tablets does not affect the ability to drive or operate machinery. This medicine contains sucrose. If your doctor has told you have an intolerance to some sugars contact your doctor before taking this medicine. It can cause tooth decay. The recommended dose in adults and children over 12 years dose is 1 or 2 chewable tablets when symptoms and preferably between 20 minutes and 1 hour after meals and before bedtime occur. more than 8 chewable tablets in 24 hours (1 day) will be taken. Always use the lowest effective dose. Should consult their doctor (see section 2). If you take more than the recommended Secrepat may appear diarrhea, abdominal pain and vomiting. In case of overdose or accidental ingestion, immediately consult your doctor or pharmacist, or call a poison control center, phone 915 620 420, indicating the medicine and the amount taken. Like all medicines, Secrepat can cause side effects, although not everybody gets them. Side effects that may occur with taking Secrepat are generally mild and transient. Very rare (may affect up to 1 in 10,000 patients): constipation or diarrhea. Fecaloma (mass of hard feces that obstructs defecation), swelling of the lower legs, hypercalcemia (increased calcium levels in the blood), hiperaluminemia (increased aluminum levels in the blood), hypophosphatemia (abnormally low levels blood phosphorus), calculi or kidney stones, bone diseases and osteoporosis or osteomalacia phosphorus depletion syndrome. Moreover, in case of suffering from kidney disease: metabolic alkalosis (metabolic disorder), hypermagnesemia (increased blood magnesium levels). about possible side effects not listed in this leaflet. 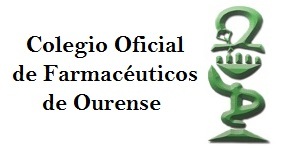 You can also communicate directly through the Spanish Pharmacovigilance System for Medicinal Products for Human Use: https://www.notificaram.es. magnesium trisilicate, 50 mg; calcium carbonate, 150 mg. The other ingredients are glycine, sucrose, magnesium stearate, polysorbate 80, sodium saccharin, aniseed (anis flavored chewable tablets Secrepat), peppermint (mint flavor Secrepat chewable tablets).